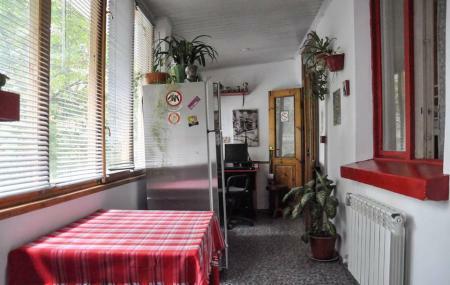 Retro Moldova Hostel is a famous lodge which offers you to reserve your accommodation here while you are in Moldova. The rooms are all divided into separated categories. All the rooms are provided to the guests with well-equipped kitchens and washrooms. It serves you with breakfasts in your rooms. It houses a mini bar where you can enjoy different types of drinks. It provides you with free wi-fi facility and hence you can enjoy the uninterrupted connection of internet. You can find telephones in each of the rooms of Retro Moldova Hostel so that you can connect with your family and friends. Spent a week in this hostel. Good accomodation, good location, excellent clean and excellent staff! Many thanks for a perfect week! The twin room is a little bit dark and small. The window goes to the balcony where reception is located. Location of the hostel is good - close to the central parks. You can't pay for staying with bank card that's why bring cash. It's said on the board for announcements that you need to pay for these services: hair drier (1€), iron (2€), printing (0,5€). Not really nice in my opinion. But when I asked a guy on reception he allowed to do ironing and printing for free. That's why - it's hard to say. Tiny hostel with basic amenities, but very friendly staff. Can be a bit hard to find as the entrance is from the back and it's barely marked. Enter 24B on the front door to buzz the reception. Very small rooms, feels a bit cramped. They had overbooked (prob. because of the Wine Festival) so we had to stay at their other place, which actually was better! Cheap, and nice staff.